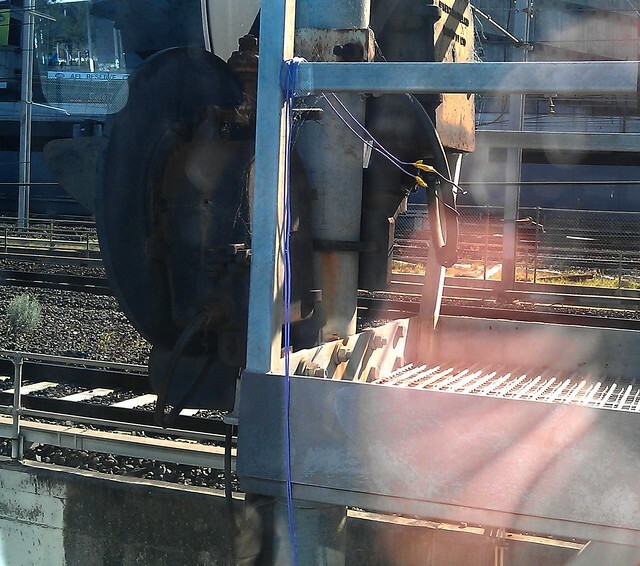 Sticky tape and wire keeping the City Loop signalling system working? Speaking of City Loop safety issues, is this what’s keeping the signalling system working? Bits of sticky tape and wire? Hopefully this is just something temporary. Next → Next post: What can’t you buy in the city? Petrol. Coloured wiring (usually purple) is temporary. Most likely defective cable, that’s a temporary fix until a new cable can be run (inside mast and in conduits, often hard to pull through). I hope they taped the connection tight enough to keep any rain from shorting the wires out. Have you seen the signalling wires? They run along the train lines and are in rusted rectangular prism’s, often opening up and broken in some places- exposing them to the rain and sun.